Print() and println() methods are used to print text and object values or format data. Formatting data means displaying corresponding data type value. For example when print float ot double value if we want to specify upto 2 decimal numbers we user. 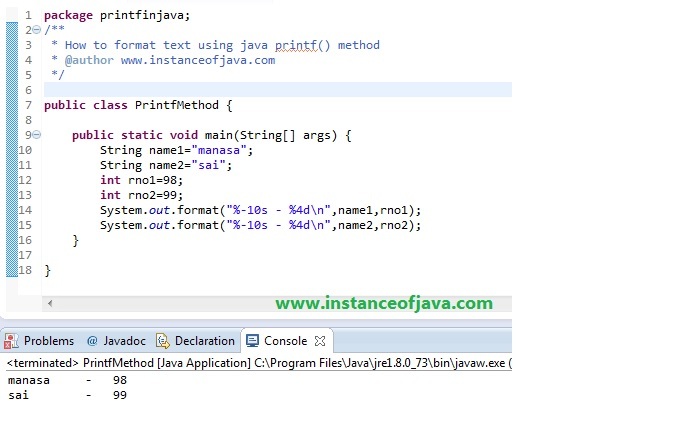 format double to 2 decimal places in java possible by using system.out.printf() method.